With the world’s top-class sewing speed and prevention of thread breakage with a Needle Cooler, the machine has increased productivity. It also has superior sewing quality, usability, and reduces maintenance cost. Productivity Improvement by World’s Fastest Sewing Speed and IoT. Superior Usability as Everyone can Use Easily and Reliably. The automatic thread trimmer is driven by a stepping motor which cuts the thread shorter, stable and quietly than conventional mechanical thread trimmer. It can reduce hand trimming work with scissors etc. The brand new thread take-up stroke provides stable thread tightening. Equipped with a Colour LCD which displays items with illustration icons, offering use-intuitive operation. 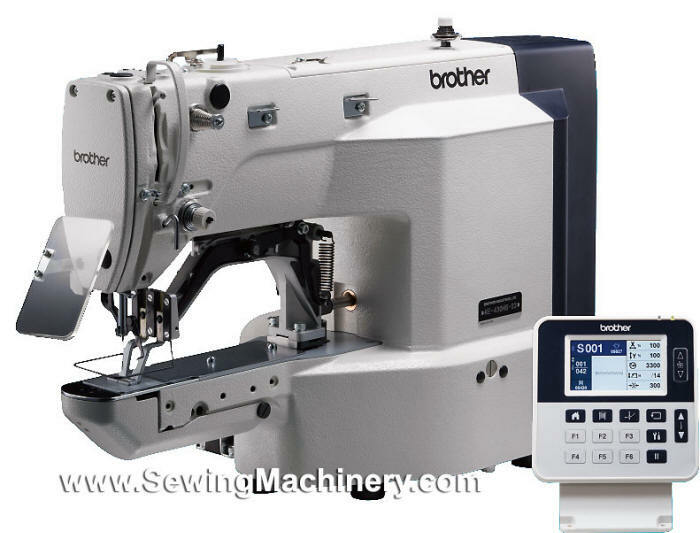 It is easy to set the cycle program, along with sewing patterns, sewing speed, and scale. The upper thread tension can be stored with-in a user program.